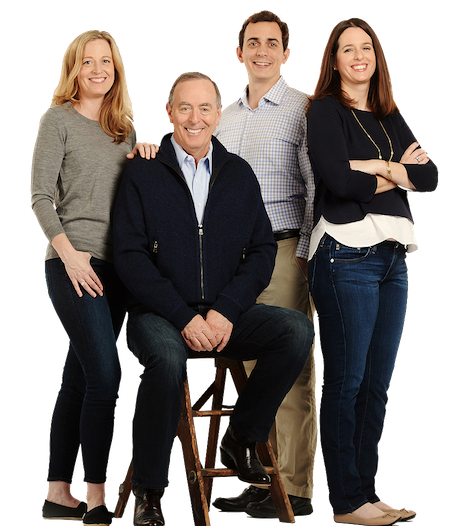 Always a family-owned-and-operated company, McKee Builders has been building homes in New Jersey, Pennsylvania, Delaware and Maryland for three generations. Currently building both active adult and traditional age communities, our family is proud of our reputation for customization, quality and customer service. We take pride in our homes and neighborhoods, giving them distinctive architecture, interesting locations and innovative designs. Frank A. McKee and his brother-in-law Joseph McHale start a business (McKee & McHale) installing and servicing heaters and air conditioners for military housing and residential customers. After Joseph McHale passes, Frank A. McKee regroups and starts his own building company, The McKee Group, which he operates in addition to the HVAC business. Inspired by his growing knowledge of home construction, Frank A. McKee is inspired to construct his first building—an apartment complex in Upper Darby. McKee Builders debuts its first retirement community, the Village at Neshaminy, with 950 single-family homes. It was the first ‘resort-style’ community for seniors. McKee Builders quickly becomes known for its 55+ lifestyle communities. Continuing the family commitment to integrity, quality and homeowner satisfaction, Frank J. McKee, Sr. begins expanding the concepts of 55 and older adult communities with new home styles and floor plans, expanded community features like amenity-rich clubhouses, and unique locations in DE, MD and PA. In 1997, McKee establishes its company home base in Springfield, PA. Founder Frank A. McKee passes. Frank J. McKee’s daughters, Jenni and Kate, join the family business in 2006. Son Frank McKee, Jr. joins in 2008. Though the McKee family has ALWAYS had Golden Retrievers, Remy is one unique puppy! After all, he is the star of his very own national award-winning marketing campaign! The Preserve at Weatherby in Woolwich Twp. McKee Builders believes in giving back to our community. In recent years our commitment to caring has included donations of time and dollars and the development of special fund raising events. The Catherine Twomey House is a 5-unit apartment home for pre-senior women with little or no income, sponsored by Home of the Sparrow. Members of the McKee Builders team donated funds, furniture for the home, and their skills to renovating this existing home, creating a shelter for vulnerable women and their children who have fallen on hard times. The annual Frank A. McKee Charity Golf Classic, named in honor of our founder, invites players to swing for a worthy cause. The charity benefits different organization each year, ranging from military veterans to animal rescue. Homes for Our Troops builds and donates specially adapted custom homes for severely injured veterans. In 2006, McKee Builders was honored to build a home for Pisey Tan, who lost both legs in an IED explosion. Habitat for Humanity seeks to build strength, stability and self-reliance in partnerships with families in need of decent and affordable housing. Habitat homeowners help build their own homes alongside volunteers, and then pay an affordable mortgage. Over the past decade, McKee Builders has proudly supported Habitat for Humanity. Animals deserve care too. The Providence Animal Center offers rescue, medical care, treatment, protection and placement of companion animals. The McKee family has been a proud supporter for three generations. In fact, McKee Builders Vice President Frank McKee, Jr. is a past member of the board of directors, and continues to donate his time and energy. The U. S. Marine Corps Reserve Toys for Tots Program collects new, unwrapped toys during October, November and December each year, and distributes those toys to less fortunate children in the community. Each holiday season, McKee Builders organizes and donates to toy collections across the Philadelphia area. McKee Builders has been the recipient of more than 100 awards for excellence in design and construction. Our family takes great pride in the recognition we have received from local, regional and national building industry organizations. Best Single Family Home under 1,700 sq. ft.